Four Seasons Resort Punta Mita was named one of the top golf resorts in the world, as well as receiving an honorable mention for its accommodations. Golf Magazine, the top golf publication in the United States, announced the winners of its annual awards for the very best golf offerings in the world on its website, Golf.com. 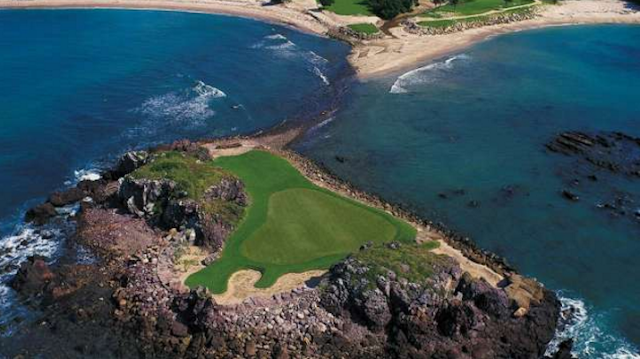 The Rivera Nayarit’s Four Seasons Resort Punta Mita was one of the top picks. The Four Seasons placed at number 12 out of 37 establishments from around the world that were recognized as Gold Premier Resorts Gold and Silver Winners 2016 – 2017. The hotel, located in the Punta Mita development, is one of the newest resorts on that prestigious list. The list includes older properties that underwent dramatic renovations and upgrades as well as relatively new properties that are trending right now, as is the case with the Four Seasons. Other hotels were named Gold Category Winners 2016-17: The Best Golf, Food & Value; with recognitions awarded to different areas of said properties. In the case of the Four Seasons, it received an honorable mention for its accommodations. Golf Magazine has an estimated 4.7 million monthly readers. Click below for a complete list of winners.